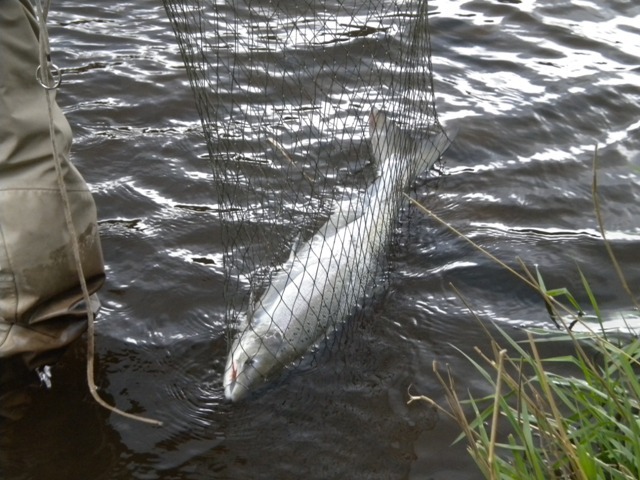 Cumbria is just one beautiful county with fantastic scenery, very nice people and great fishing. 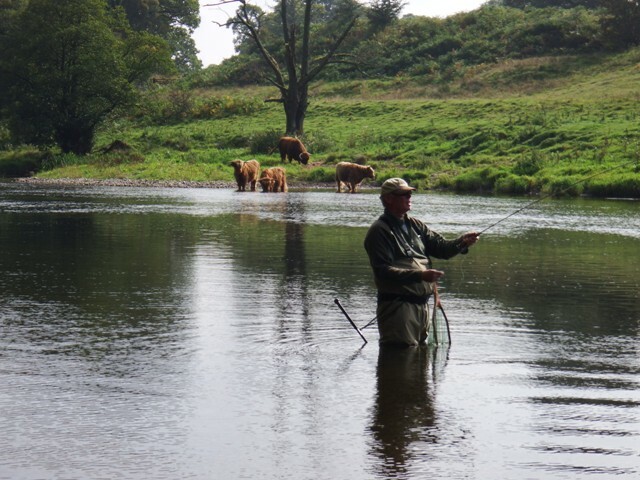 My aim is for you to enjoy what we have here on the river Eden, and to give you an experience in a real fly fishing situation on a serious game fishing river, also to help you understand how and why. We do not always catch fish every time out, (that’s fishing sometimes), but you will have a good day on the water, learn something new, have fun and I will look after your needs. I will keep you supplied with tea/coffee plenty of photos, and you go away at the end with something special. 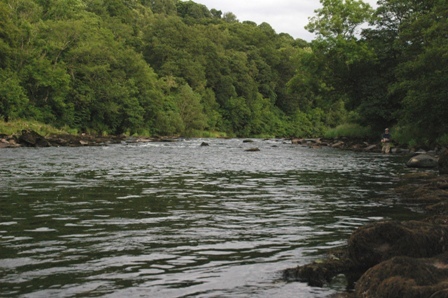 Casting tuition for double and single-handed rods, single and double Spey, snake roll, snap-T/circle, overhead, sunk line, double haul and salt water techniques and many others. Reading the river, safety, fishing tactics, knots, playing, landing, handling fish, entomology and enjoying the surroundings. I can supply any equipment you may need if needed at no extra cost. If you rather take the train I can collect you from Carlisle railway station. Tuition/fishing experiences can be on a half day or full day session/s on the various private beats I use on the lower/middle river Eden. You will get the full benefit on the day from a one to one/two basis. 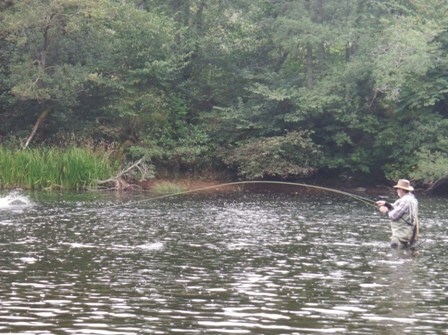 The use of tackle and equipment is included in the cost (excluding E. A rod license), also the fishing permit for one person, if there are two people just add the cost of the extra permit. For larger groups of three or more I will have to arrange a different beat for the day that will accommodate the extra numbers, and the cost will be extra for this depending on the time of year, availability and permit prices. There are also demonstrations and guiding services available. Don’t forget your rod license, these can be purchased from your local post office or on line, E. A rod license either for the day, week or season. 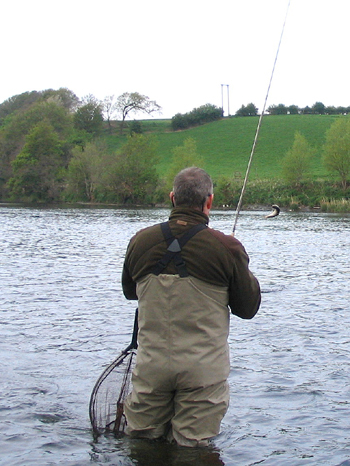 Many people get many things from being out on the water in the countryside. Sometimes fishing is a just good excuse to travel and a reason for being somewhere nice that you would not normally visit. Others use fishing for being in pleasant surroundings, watching the wildlife, understanding a little about nature or just for the chill out or de-stress from everyday life. You may be recovering from an illness, the green factor can do wonders for your inner self. On the point of retirement? What better than to take up this fine sport, meet some really nice people, possibly make some new friends, learn a new skill and who knows where it may take you. How many times have you had to get the spinning rod out on a beautiful salmon river when the water is in perfect ply for fly fishing, just because the wind got up? Moved around the other side of the lake because the wind was in your face or onto your casting shoulder? Walked around where trees are in the way, and embarrassed to fish with others around? Mysterious knots keep appearing in your leader; and you get snapped when playing fish? 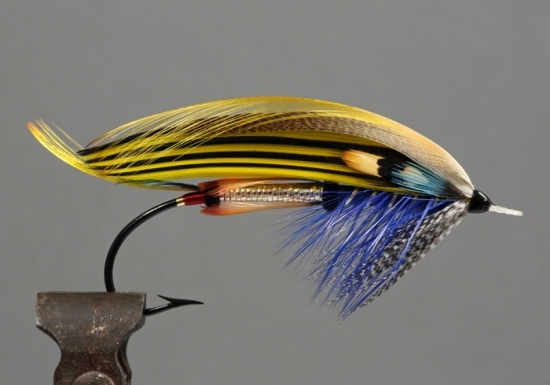 The fly hits you on the back or gets caught in the grass or bushes behind, the line never seems to go out straight, you cannot achieve much distance or presentation, and it makes cracking sounds on the back cast? You’ve just spent a small fortune on a beat in Scotland, Norway, Canada, Russia or a nice chalk stream and bought the best tackle you can afford, and are unable to use it effectively? These are just a few of the reasons why a little instruction can be very helpful, and to give you a short cut to where you would like to be, there are many more. My philosophy is, if you can enjoy and understand effortless casting, then you can begin to enjoy the other aspects of fishing, enjoy the scenery and be more relaxed, and to end the day very satisfied and content. Give yourself plenty of time to get the casting right before the season or your holiday starts, the close season is the perfect opportunity on the river with a piece of wool instead of a fly. 6 hours-full day £180, please add £50 for second person. Gift vouchers are available by post or email for a special friend or relative to learn or improve their sport, and spend a great day outdoors in beautiful surroundings.